SLT SpeedUp Cycle Sawariya Women’s race started from Colombo on its way to Kuliyapitiya on 7th September morning. The cyclists will travel through; Peliyagoda, Wattala, Katunayake, Minuwangoda, Veyangoda, Pasyala, Warakapola, Kegalle on the 1st Day of the race and on the 2nd Day they will travel through Polgahawela, Kurunegala, Wariyapola, Hettipola to reach Kuliyapitiya covering a distance of 175 Km. The women’s race of SLT SpeedUp Cycle Sawariya marking it as the first time in the cycling history in Sri Lanka that a two-day event had been organized for the women cyclists. Changing the cycling landscape of the country, the first ever para cycling event will be held on September 8th. 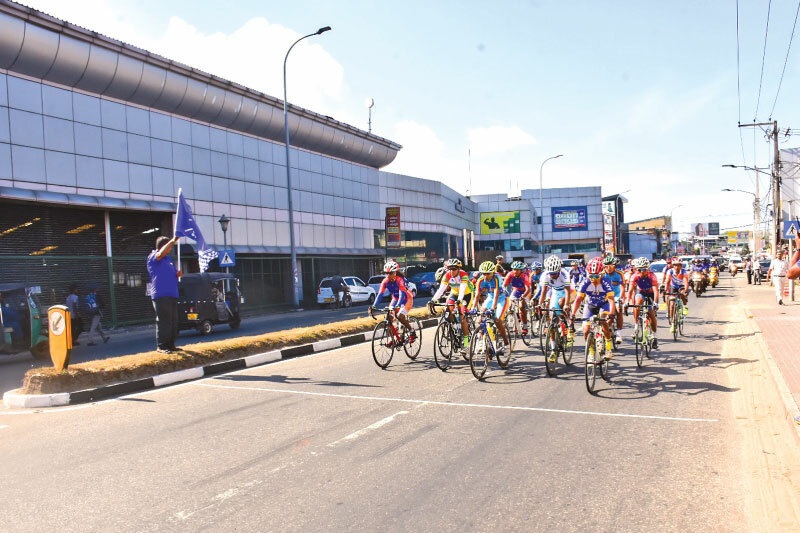 Two-day Women’s race of ‘SLT Speed Up Cycle Sawariya’ organized by Sri Lanka Telecom under the inspection of Cycle Federation of Sri Lanka (CFSL) kicked off at the Lotus Road, SLT Headquarters. Chief Executive Officer of Sri Lanka Telecom Mr. Kiththi Perera, Group Chief Marketing Officer of Sri Lanka Telecom Mr Ajantha Seneviratne, Chairman OF Cycling Federation of Sri Lanka, Mr. N. Karunarathne and several other officials attended the inauguration ceremony. The Day four of the SLT SpeedUp Cycle Sawariya Men’s race Stage one started from Mahiyanganaya on its way to Dambulla on 7thSeptember morning and will continue the Stage 2 started from Dambulla to Anuradhapura in the evening of the same day. The cyclists travelled through Hasalaka, Ududumbara, Hunnasgiriya, Victoria Junction, Theldeniya, Kandy, Katugastota, Matale to reach Dambulla covering a distance of 140 Km completing the Stage 1. The contestants reached Mahiyanganaya just before 1.00 pm on the fourth day. The famed SLT Speed Up Cycle Sawariya is the most awaited and prestigious event in the cycling calendar in the country and the winners will be rewarded with highest cash prizes. The winner of the men’s race will receive Rs. one million while winners of women’s race and para race will receive Rs. 250,000 and Rs. 150,000 respectively.